Welcome to Agri-Way Partners! We are a full service company specializing in quality feed and competitive grain marketing. Our knowledgeable and friendly staff are happy to assist you in developing a feeding program, profitably marketing your grain, and bringing your product to market. Please call our Wayland office at 319-256-6000 and talk to Mark (ext 119) or Sue (ext 122), and we will be happy to help you for all your grain marketing needs! Access our grain bids at the Cash Bids link under the Grain menu. 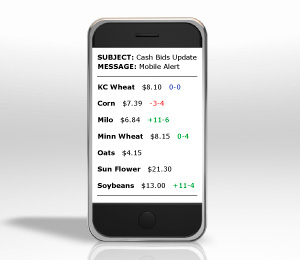 See our grain bids on your phone with the AgMobile App!